This tried & true recipe has been updated from October 2014 now three years later. 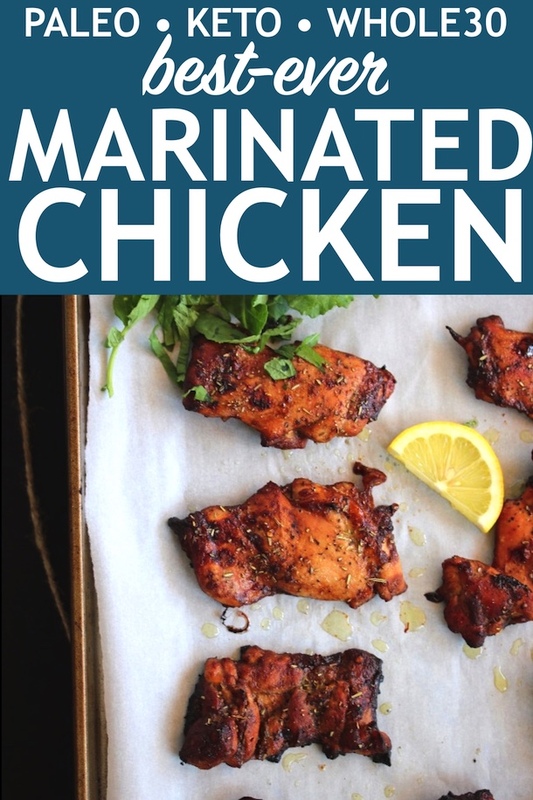 And while I still go back to this post as a guide for perfectly roasted chicken thighs, the magic is all in the marinade. Try it on any protein for a slightly sweet yet mostly savory glaze. Perfect for chicken, shrimp, and pork chops! Life is so busy, you guys! From family plans to long work days to errands & holidays & chores... So much fun, and always something to look forward to- but so busy! Anyways, as much as I love cooking~ I don't always have time to get fancy with dinner. That's when I call on one of my simple, effortless, go-to dinners: like my simple roasted chicken thighs. An easy main dish that pairs with any sides. 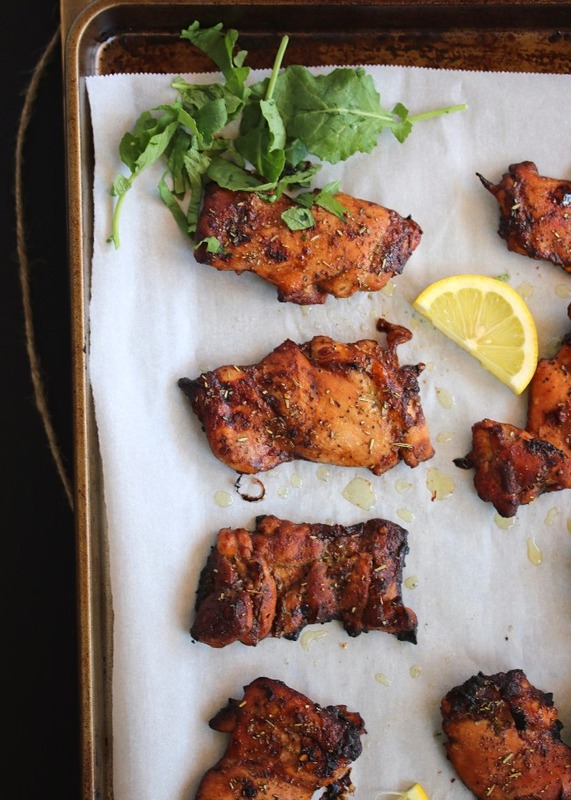 The marinade is what makes this protein delicious, yet still simple with ingredients we always seem to have on hand. The perfect dinner (to me) means minimal effort, even less cleanup, and leftovers for the following day. Baked chicken thighs fulfill each of those requirements, and also manage to taste delicious! The crisp outside is perfectly balanced by how juicy the chicken is. Perfect with some sauteed veggies and chunky mashed potatoes, or chopped & tossed over a fresh salad. 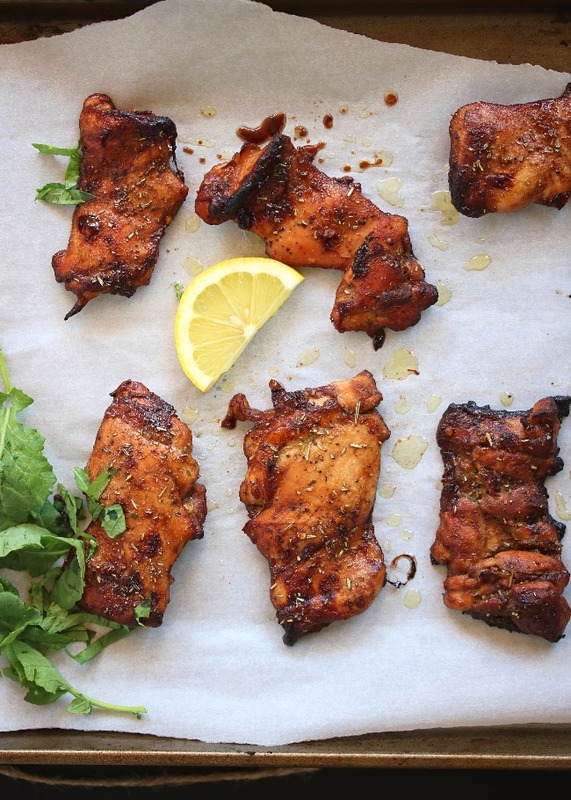 Feel free to use this marinade recipe as a guide, substituting what you have on hand. 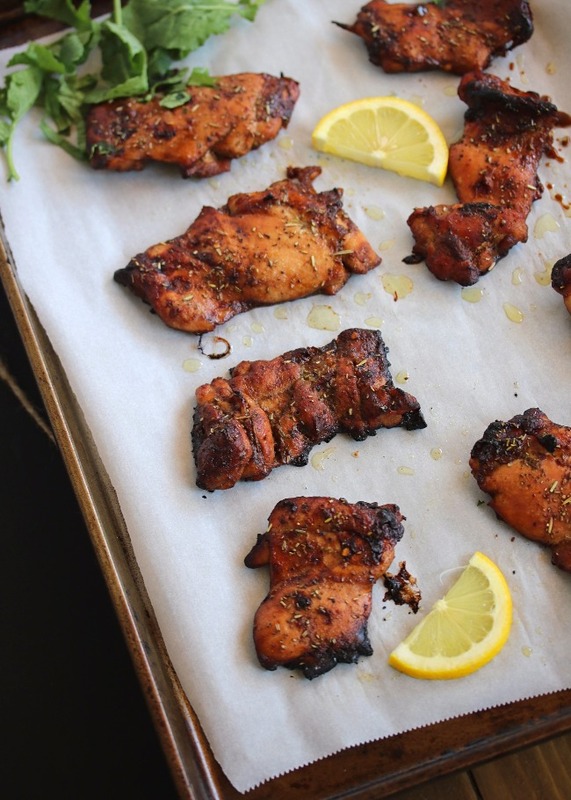 And while I love a good roasted chicken thigh, you can easily throw your chicken on the grill! Add the marinade ingredients to a large bowl, whisking until combined. Toss the chicken thighs in the marinade until coated. Transfer the chicken to the lined baking sheet, and roast for about 40 to 45 minutes, or until the edges begin to crisp. I made the chicken last night and it was so good. Next time I need to make a double batch. There wasn't any left. Made this after seeing it on the Whole 30 takeover, so yummy! Is this boneless skinless? Boneless skin on? Why does it look like there are herbs on the chicken in the pictures, but none in the ingredients? These look great. My son hates chicken thighs for some reason. Would you say that this works equally good with chicken breasts? do they still crisp up? I made this last week and have another batch marinating now. So yummy! Thank you for the recipe. Made it for dinner tonight and it was awesome! I might even grill it next time! I have made this recipe 3 times now and it always satisfies! Great job and thanks for sharing! Thanks for sharing great collection of Recipes! I made moroccan chicken to surprise my family and they loved it! I will also try this. 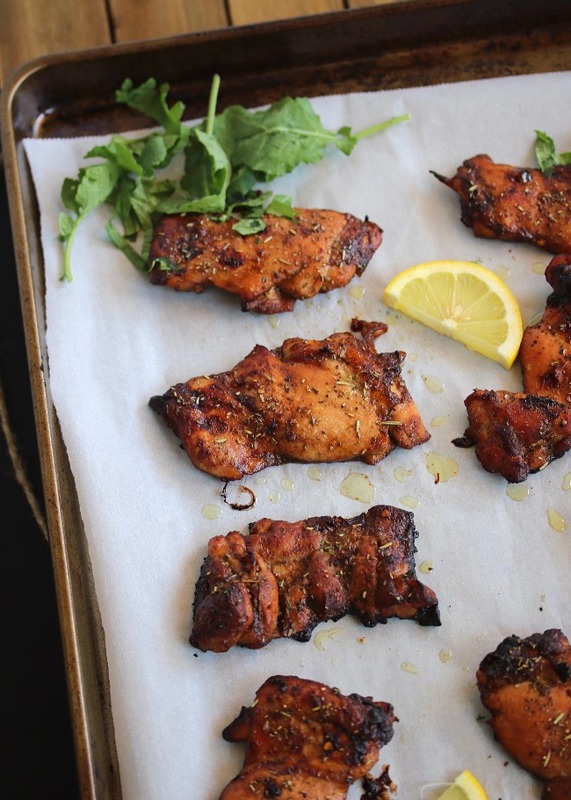 You can add more nutrition to your food with Chicken Onion kebabs . I thought I had every ingredient but I don’t have the balsamic vinegar. What would be a good substitute?